We are happy to announce that our product iMETOS CropVIEW has been awarded with Gold Medal from Fieragricola 2018 Innovation Award! iMETOS CropVIEW is an agricultural information system that periodically takes high resolution photos of the farmland. 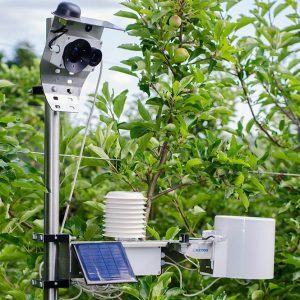 Photos are automatically uploaded to the FieldClimate platform without the need of user intervention and allow continuous crop monitoring and yield control – from seed germination monitoring and the effect of fertilizers and pesticides on crop development to pest control. High resolution images can be analysed over time in relation to environmental data, which adds a new dimension to understanding what is happening in your field.